Silver and Gold were an important part of life in the 1800s. These were investments and retirement funds that could be worn and served with at the dinner table. Silverware was purchased at a jewelers, who custom made each set. 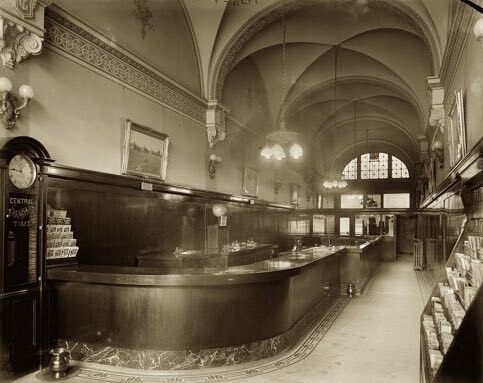 Traub Brothers was one of the original Detroit jewelers in downtown. In 1879 they moved from Downtown, which was near the waterfront at that time to ‘Up-Town’ and into this building. They were in this building when they introduced The Orange Blossom Engagement Ring - and it took the country by storm. It was the must have engagement ring and it catapulted Traub into national recognition. They outgrew this building in short order and sold it to the Grand Trunk Railway in 1905. The Grand Trunk Railroad started in Montreal in the mid-1800s and by the turn of the century they had tracked down North America’s East Coast and turned west to Detroit arriving in 1879. By 1903 they needed to have a presence in the glamorous downtown. The building was purchased from Traub Brothers for their formal ticket station. The second floor of the building was ripped out. An elegant vaulted ceiling with ornate plaster was built and brass chandeliers were hung. 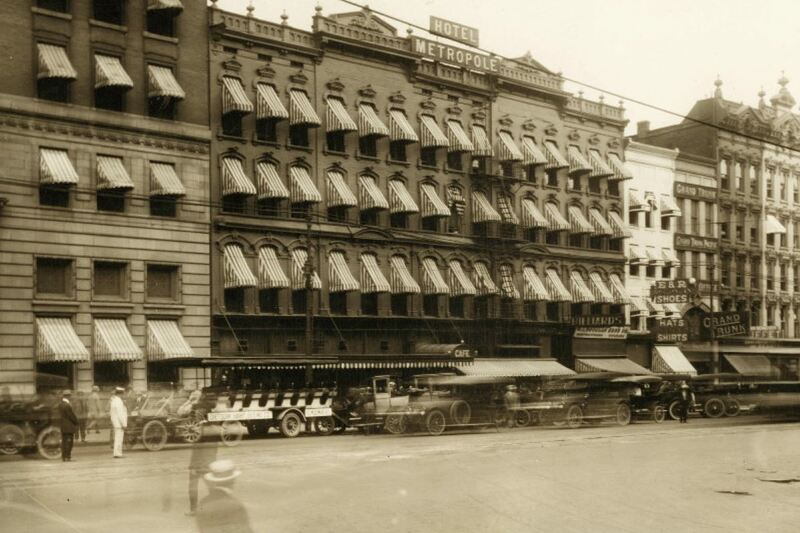 The upper floors of both buildings were used for Grand Trunk Railroad offices and storage. The old rail trunks that we discovered upstairs now adorn the Whisky Parlor. The ticket station opened in 1905. It’s grandeur represented the far reaching might and elegance of the Grand Trunk Railroad. By 1935 passenger rail lines had given way to another mighty Detroit industry. The automobile put rail travel on the decline. Grand Trunk decided that instead of competing they would concentrate on freight. They sold this ticket station and for the next 60 years the country would see the iconic blue and white GT boxcar through out the country. Grand Trunk was absorbed by Canadian National Rail in the 1980s. 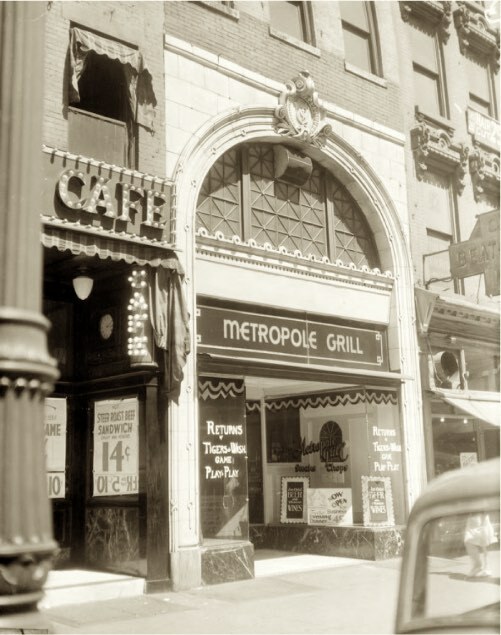 In 1935 the Metropole hotel, located two doors up Woodward was is in need of a bar and kitchen. The long and elegant ticket counter lent itself to a perfect bar and we have been here ever since. One hundred years later and one decade ago in 2006 my father died and I figured I was going to do some drinking. I stumbled into Foran’s Pub one night and ended up drinking with John Foran Jr. We poured Whisky on the floor for our fathers and I told him that I wanted to buy his bar. Detroit was a sad place then and it suited my mood. It was also a huge part of my father who was always hopeful for the city’s future. Though I was in a dark place I yearned to pull myself and a small part of my Forefather’s city up and out of the ditch. Etched into the operating agreement of the pub is the decree that every glass raised in the establishment is raised in honor of my father. Through hard work, dedication and in honor of my family, a successful downtown fixture has emerged with historic preservation as a central tenet. We are striving to ensure that as this city evolves, parts of the 'Original Detroit' remain in tact. It is the reason we bought the Checker Bar right down the street. I believe in Detroit. When others questioned my sanity I dove right in. Looking back, it was very important for me to be a part of Detroit in one of the most authentic and fundamental ways to open and build a sustainable business. As we researched vendors it suddenly did not make sense to purchase kegs of beer, or any products, from large distributors based outside of Michigan. We pushed "Made in Michigan" to new levels sourcing our ingredients locally whenever possible and pioneering the concept of serving only Michigan beer. Love and Action for the Community and the Environment. It feels right because it is. There’s good reason we’ve been featured on Esquire’s National Show: Best Bars in America, The New York Times, Esquire Magazine, Better Homes & Gardens, The Detroit News and more. 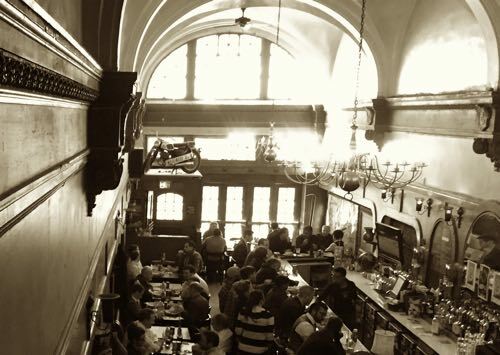 The pub combines several great passions of mine: Detroit Community, Food and Architecture. Fortunately, this combination has allowed us to grow without turning into a corporate machine. We weren’t funded or financed, and we are constantly evolving and learning from our mistakes, but what is most clear, is that we take great pride in our history and we pour much care and love into every glass and dish. If you are looking for a place that has been serving up True Detroit Pride and Grit - you have found it. Detroit has taught me fierce pride and rugged confidence. To me this city has more soul, more depth, more story, more promise and more diversity than any other city in the world. Thank you for your many years of patronage and your commitment to supporting local business. Raise a pint to Detroit, and to our Forefathers who built it - and to us, you and I - who with this very pint continue to build it here at Grand Trunk Pub.